If you are an experienced user, you may jump to the next chapter. There is an extensive official guide on the wordpres.org website on plugin installations. You can read that if you prefer a more detailed guide. The Pro version is a separate plugin from Ajax Search Lite, so you can go back to the lite version any time you want to. Before or after installing the Pro version, please make sure to deactivate the lite version. In WordPress the easies way of adding a new plugin is by the built-in plugin manager. 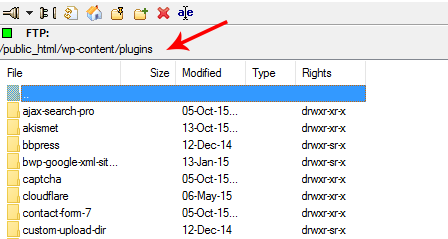 Follow these steps to succesfully install this plugin. Download the ajax-search-pro.zip file on the codecanyon.net/downloads/ dashboard (the Downloads menu). Make sure to download the Installable WordPress file only, as the other archive also contains documentation links and other files. 2. Save the ajax-search-pro.zip plugin file somewhere on your computer. After successful installation, you will need to activate the plugin. You can do that on the installation page, or go back to the plugins page and activate it there. After installing and activating, you should see the new plugin menu. If the above method is not working, you can use FTP to upload the plugin files. This method is not recommended for beginners, so please be careful. If you don't know how to connect to your website via ftp, I recommend reading the Filezilla tutorial. After succesfully copying the ajax-search-pro directory you will still need to activate the plugin. Log in to your sites back end. That's it! After activation you should use be able to use the plugin. Make sure to install the plugin on the Network admin aka. the main site, because the plugin needs to be Network activated in order to work. The installation is the same as the previous method, just make sure that it is activated on the network admin (main) site.